About every other evening Mandy will ask me, "Do you want a smoothie?" I made the mistake once of saying, "No, I'm OK." That earned me the evil eye, and I realized that the phrase "do you want...a" really means "I want a...". And since I'm the only certified smoothie professional in the house, that means I'm doing the mixing. So tonight, when she asked if I wanted a smoothie, I started gathering the materials. First, I noticed that our ice cubes were yellow. I've heard of yellow snow, but not yellow ice. I assumed it was kool aid and was ready to add them to the mix. On a hunch, I thought I'd better check with Mandy. Turns out it was lime juice. 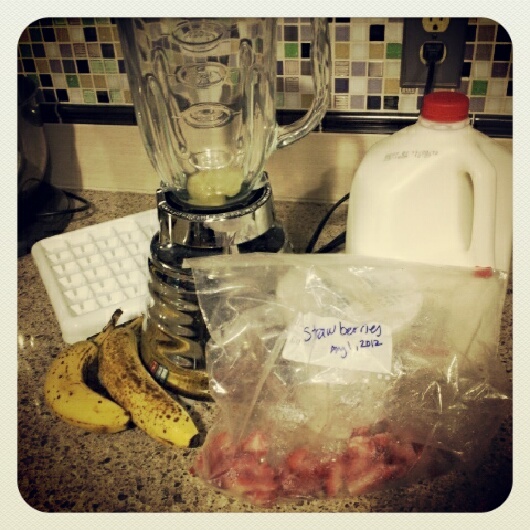 That would have made for one tart shake. I made the mistake once years ago of adding lime juice to a smoothie at the same time I added milk but before turning on the mixer. Lime juice + milk = curds. 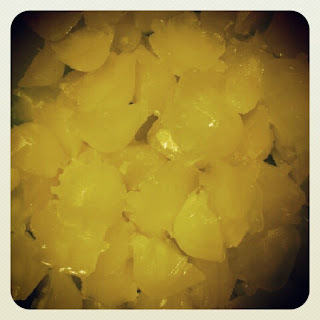 Yellow ice. Not to be confused with yellow snow. 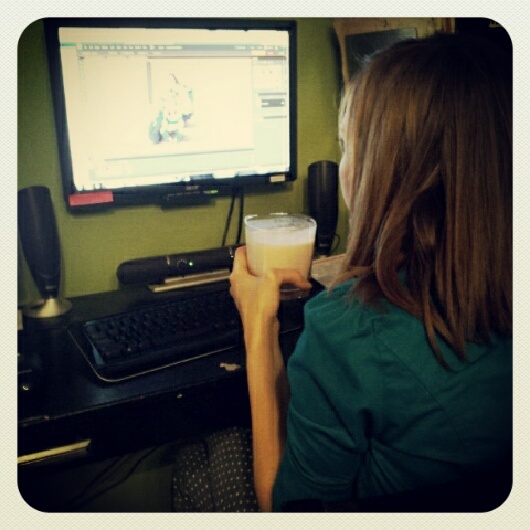 Mandy, drinking her smoothie and rocking Photoshop.